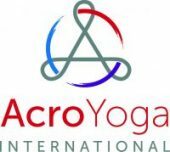 We would love to see you at one of our regular AcroYoga sessions in Aberystwyth. Beginners are always very warmly welcomed and supported by our group! If you have any specific questions please don’t hesitate to contact us with the form below.